I would like to thank Cable Chick for their timely delivery of my recent order. This is the second time I have used your services and would fully endorse anyone to use Cable Chick in the future. Not only is your company competitive with pricing in the market but your customer service is second to none. I will look forward to using Cable Chick again in the future. Samsung Galaxy Tab USB Sync & Charge Cable (Samsung 30-Pin Cable) + FREE SHIPPING! The USB Sync & Charge cable you need for Samsung's 30-Pin Tablet products! 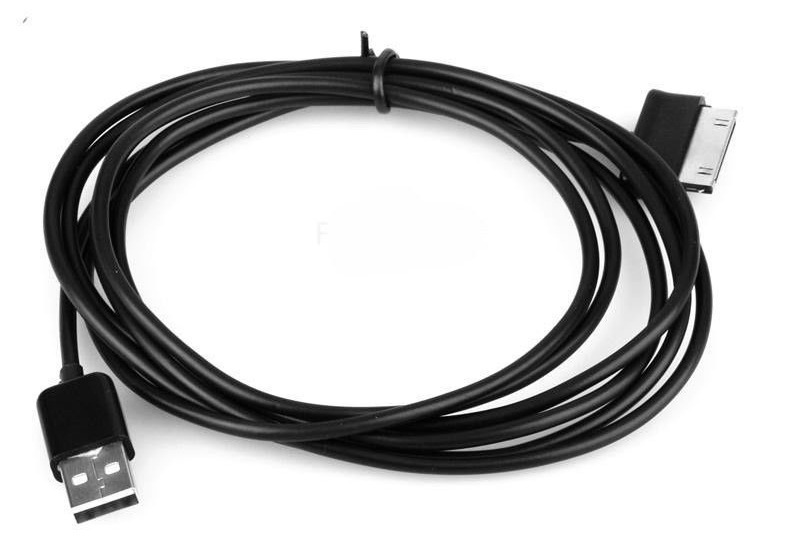 Do not be fooled - this connector may look like the older Apple 30-Pin connector, but this cable is specifically for use with Samsung Galaxy Tablets featuring the inch-wide 30-Pin connector. Once connected to your snazzy Samsung Tablet, it enables you to charge and establish data connections for your tablet. Yes! My cable arrived in very good time. Thank you.